This is my first post for my CRJ ( critical research journal) which is to be kept along with my work for my Ma in Documentary Photography at Falmouth University. In this first week we have been looking at a few key aspects surrounding photography on a global scale and some of the issues and standpoints that we have to consider as image makers and practitioners. The single most important challenge that the global nature of photography poses for image makers and consumers, might be an over saturation of content. I feel that the global nature of photography with the advent of accessible technology, has increased the saturation of images we are all bombarded with everyday. This affects both image makers and viewers. Image makers are more and more desperate to hold the viewer's attention and compete with the masses and masses of competition, particularly on social media. With this over saturation of content, we are desensitised quickly, looking for another image; a better, more exciting, more beautiful, more something. This in turn has a knock on effect with the image makers, who are forced to consider extra editorial decisions when publishing. Now, professional photographers have a new set of considerations to think about with social media. Do I need to look popular to become successful? It has become an ugly and untruthful place, where people are desperately trying to provide evidence of a perfect life, with the perfect home, the perfect diet and lifestyle. We see stories of people deeply affected by this need to keep up and they have themselves described doing so 'a miserable chore' after stopping and reflecting back. This is an interesting article involving Essena Oneil that outlines some of what I’ve mentioned. Although one must bear in mind that this article was timed around the relaunch of her new business. In summary I think that this over saturation is one of the main problems with photography today for image makers and image consumers alike. It can be a driving force for change, but more often than not, it causes false expectations of the world and makes people feel that they are not good enough, or their life is bad by comparison. Perhaps this will work itself out and can be put down as a problem that we’ve faced with technology developing so fast, that culturally we’re not capable of catching up as fast? Images lose their instant authenticity that was once assumed and along with clickbait and fake news that goes hand in hand, photography might be at its least credible point in history to the masses. 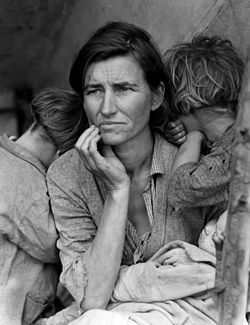 I wonder if practitioners like Lewis Hine and Dorothea Lange would have had as much public support in helping their goals for change in today’s world? As for a concept of universalism within photography, I don’t think that will ever exist globally. I mentioned in my previous post of the global image that when considering the diversity of cultures, interpretations and personal histories of every viewer, such a universalism can’t be reached. There is a popular belief that you can elicit change (on world wide scale) with the power of a photograph. I think that there is power in an image to force change and bring unity. I would agree, that there is a distinct underlying theme that the photograph is framed in on a specific part of the wider world and also that it can act like a mirror revealing the photographers sensibilities. I’m not sure that we can narrow it down to just these two, but the more I think about it the more I find it difficult to argue the point of it only being the two. I feel that within my own work, I would agree more with the analogy that I reflect what I see in the world through my work. Or my work is a mirror in which I am reflecting parts of myself through. I look at practitioners that I mentioned previously that have made a positive change using their images. I was drawn to some of the areas I wanted to explore by the themes of unity and collectiveness. My project looks at a group of people in a small sub culture, built around an ethos of unity and togetherness. These people express themselves through their music. I have been exploring some of the ideas and think that some of the topics that we've discussed have certain areas of relevance with my own work. Particularly in how there seems to be a recurring theme within photography, of the window or the mirror. I feel that a part of me is mirrored in the work that I shoot. I am constantly aware of my inability to be completely nuetral in the situation. I had knowledge of the origins of photography and the early developments that have helped popularize and democratize photography for the masses. A few key points I found interesting through discussions that were covered. Pioneers such as James Presley Ball and Richard Beard were one of many early practitioners of the rapidly spreading Photography process and it was spreading globally along trade routes at enormous pace.